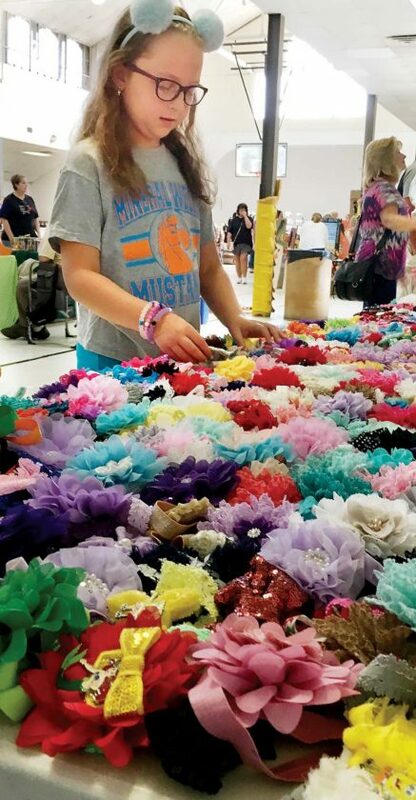 File Photo Ella Wilson, of Mineral Wells, looked over the bows available at a booth co-run by Kelsey Seebaugh, of Addie’s Bows, and Sarina Hess, of Honey Rose Bows, during last year’s Harvest Moon Arts and Crafts Festival at City Park. 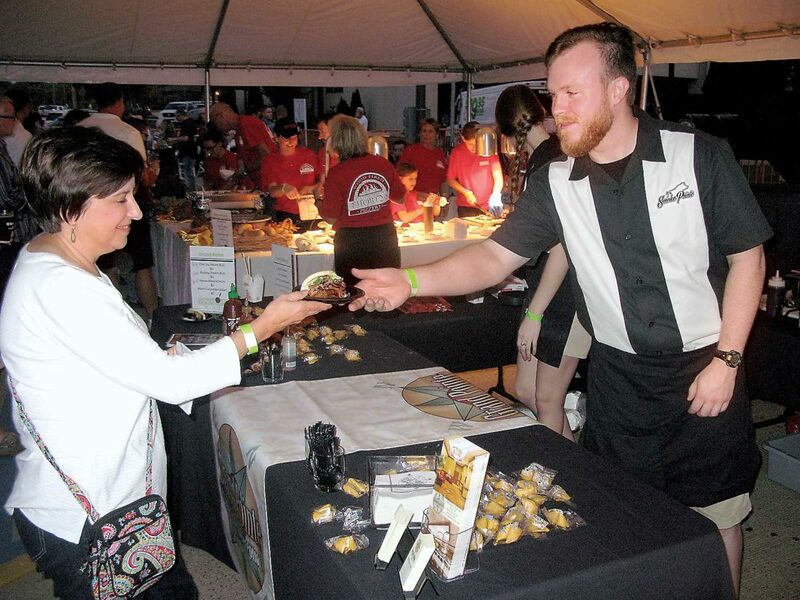 File Photo Marian Clowes, left, of North Hills, gets her order from Grand Pointe from Ian West at last year’s Downtown Throwdown BBQ and Brewfest. This year’s event will be Sept. 15 in downtown Parkersburg. 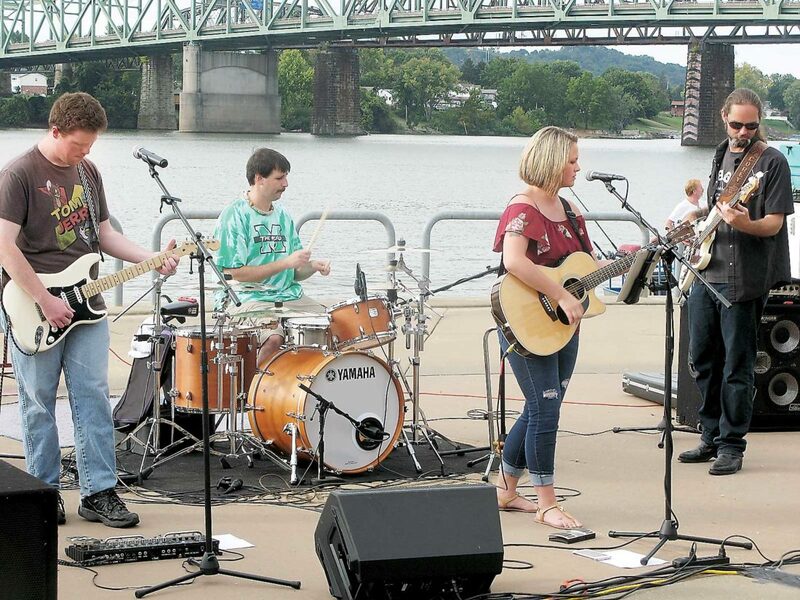 File Photo Stephanie Stacy and her band were part of last year’s inaugural Riverfest at Point Park. This year’s Riverfest will be Sept. 14-15 at the point, with sternwheelers, music and fireworks. File Photo The Ohio River between Point Park and Blennerhassett Island Historical State Park will be closed to barge and commercial traffic on the morning of Sept. 15 to accommodate kayakers and others participating in the annual Parkersburg Paddlefest. PARKERSBURG — The third weekend of September will be a busy one in the Mid-Ohio Valley, with a wide range of activities and attractions for all tastes, including barbecue, riverboats, river paddling and arts and crafts. * The Greater Parkersburg Convention and Visitors Bureau will host the fifth annual Parkersburg Paddlefest Weekend from Sept. 14-16 featuring three days dedicated to people-powered watercraft at Point Park in downtown Parkersburg. The final day, on Sept. 16, will feature a visit to North Bend State Park Lake. On Sept. 14 at 8 p.m., Paddlefest weekend kicks off with a glow paddle, where electric lights and glow sticks illuminate the group as they paddle up the Little Kanawha River from Point Park. 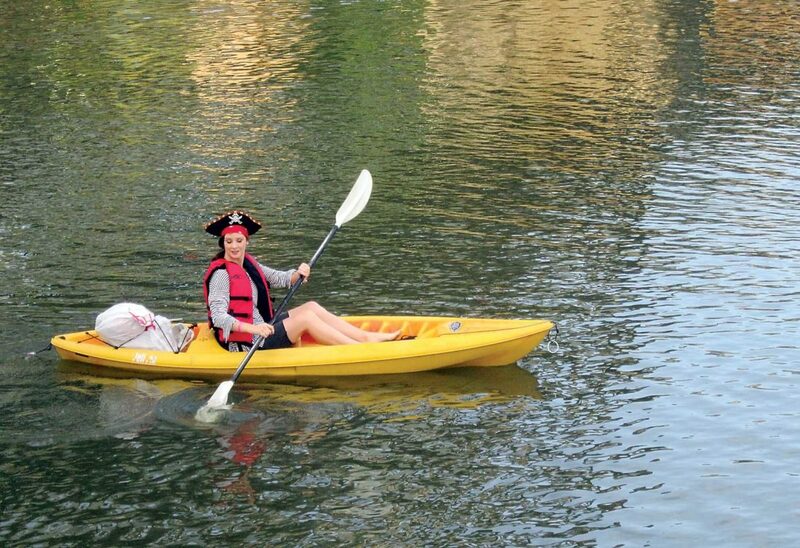 On Sept. 15, from 8 a.m. to 2 p.m., the main Parkersburg Paddlefest event provides a unique opportunity to paddle a three mile stretch of the Ohio River, from Point Park to Blennerhassett Island Historic State Park and back. The U.S. Coast Guard will be closing the river to commercial traffic from 8 a.m. to 2 p.m. for the Paddlefest. Tickets are $20 each and may be purchased through EventBrite, at parkersburgpaddlefest.com. Once the paddlers reach Blennerhassett Island, they are welcome to participate in activities provided by Temple Challenge, Full Circle Yoga and Appalachian Disc Golf. For a small additional fee participants may also tour Blennerhassett Mansion, take horse-drawn wagon rides, rent bicycles, or walk the paths around the park before paddling back up river. On Sept. 16, Parkersburg Paddlefest offers a farewell lake paddling excursion at 11 am. on North Bend State Park Lake. For information or to purchase Paddlefest tickets, visit parkersburgpaddlefest.com, on Facebook and Instagram at #PKBPaddlefest, by phone at 304-428-1130, or email at hduffield@parkersburgcvb.org. * Coinciding with the Paddlefest and also taking place in downtown Parkersburg will be the Downtown Throwdown BBQ & Brewfest organized by Main Street PKB (formerly Downtown PKB) from 6-10 p.m. Sept. 15 at Bicentennial Park next to the Blennerhassett Hotel. Tickets are $15 in advance at downtownpkb.com through Sept. 14 or $20 at the gate. * The second annual Riverfest will be Sept. 14-15 at Point Park in downtown Parkersburg. Admission is free for the two-day event, which will feature sternwheelers docked at the Point along with entertainment and activities. Riverfest will kick off at 6 p.m. Sept. 14 with music through the evening. A car show will be held at the Point from 9 a.m. to 1 p.m. Sept. 15, followed by more music kicking off at 6 p.m. There will be fireworks at 9:30 p.m. Sept. 15 at the Point. * The 2018 Harvest Moon Festival will be Sept. 15-16 at City Park in Parkersburg, from 10 a.m. to 6 p.m. Saturday and 10 a.m. to 5 p.m. Sunday. Admission is $3, with seniors ages 60 and over admitted for $2 and children 10 and under admitted free. 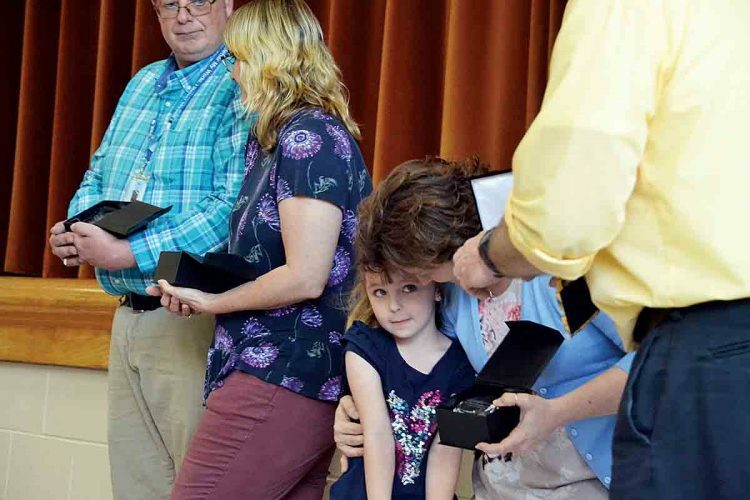 The 56th annual event will feature live entertainment both days, a variety of food vendors, children’s activities and nearly 200 exhibitors and demonstrations. The Harvest Moon Festival is a major fundraiser of the Wood County Recreation Commission, with all proceeds generated helping with the running of youth recreational programs throughout the year. 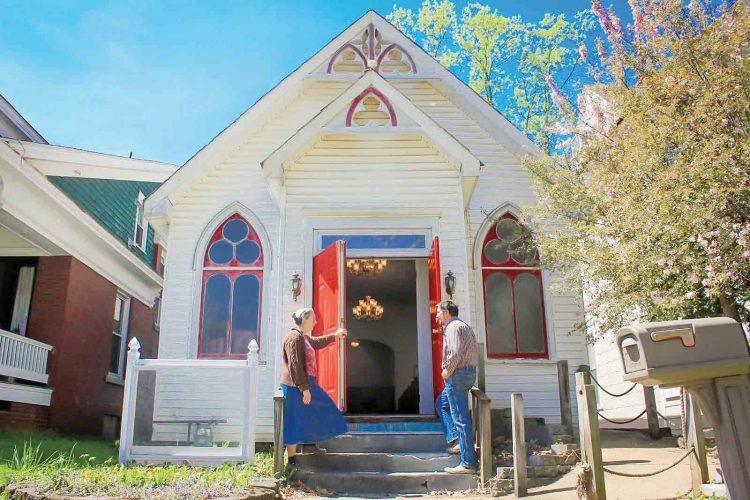 The festival is a juried show with about 185 booths of local and regional artists of all media, selling their products and demonstrating throughout the weekend.